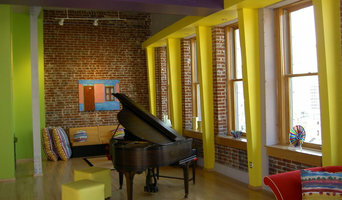 Studio Lark serves the St. Louis metropolitan area offering architecture, interior design, and exhibit design services. We offer a variety of design services within the residential and small commercial market, and specialize in Mid-Century Modern residential projects within the St. Louis Metro area. I design a large variety of projects including new homes, additions, renovations, green building improvements, historic rehabs, loft apartments, and a many commercial project types. Schaub Projects Architecture +Design is an award-winning full service architectural firm specializing in high-end residential new construction and renovation projects. ARBA Studios, LC is a full-service architecture firm, offering design, planning, and project management services. 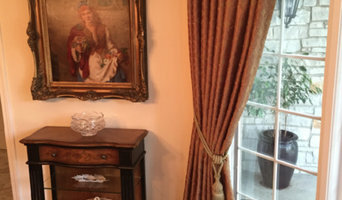 Our unique design sensibility is modern, yet eclectic, and always focused on you! Proudly offering professional architecture and design services for over 36 years. Architecture firm specializing in Historic Restoration for both commercial & residential projects; Building Additions; Renovations, New Construction; Landscape Designs. Experience with all types of building construction, use types and ages (1840"s to present). Provide Historic Tax Credit application and Energy Efficient Design services. Space Planner and Designer for remodeling and new construction projects. 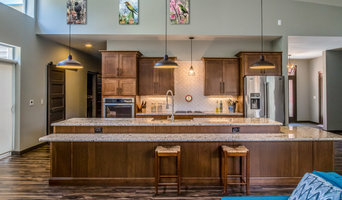 Edward M. Stevens Architects, LLC specializes in custom homes, builder homes, multi-family homes, small commercial projects as well as additions and remodel projects. Commercial projects have included religious facilities, offices, restaurants, and small businesses. Specific commercial projects have included a firehouses, martial art studio, a wine bar and beauty salons. The firm has been providing quality design since it began in 2003 by Edward Stevens. Licensed architects offer professional design ideas and drawings from schematic design through complete construction documents. You will have individualized design attention throughout the process with your project architect or manager. You will receive a well thought out design along with the architectural construction documents required to achieve a permit. This small award winning firm values customer service along with quality design. Unlike larger firms, our team comprises of three design professionals who have the advantage of being able to take a more personal approach while taking your project from idea to reality. We have designed a wide variety of styles to fit our client's needs. You will receive a one of a kind design that reflects your personality and lifestyle needs. Communication is valued in this firm and you will be working on a consistent basis with your project architect or manager throughout the design of your project. You will be guided through the process as you make design decisions. We will give you our professional opinions and recommendations as your design evolves. We have state of the art software and the training to provide 3d views of the project if requested. We love modern design, and we love our clients. We offer house design, renovation, interiors and graphics with attention to detail and service. Call or email to schedule a free 'What is the Next Step' discussion to learn Answers to Your Most Pressing Questions, Realistic Budget, Feasibility and Process to Get Your Project Started. 314-983-9142 vghomearchitects@gmail.com We are architects that have worked in the thick of construction. We know cost. We know how to listen to you. We take your wants, needs and lifestyle to design your dream within your budget. Their is never just one way to achieve your vision. We prepare alternates early for you to analyze and select. Design is a process and we work with you all the way to realize your dream within your budget. Mainline Group Architecture, Inc. proudly produces designs for a wide variety of client needs. We provide innovative design for residential, commercial, business, and educational facilities. Drawing from over a decade of experience in the architectural design field, we bring a creative but sensible vision to our clients. We utilize detailed hand sketches, state-of-the-art computer renderings, and virtual video to allow our clients an accurate preview of what their project will be. Mainline Group Architecture begins every project by gaining a comprehensive understanding of your needs, opportunities, and constraints inherent in each site. Synthesizing that information with our expertise to create a unique, beautiful, and functional structure is not just a goal, it is our business. Working in a collaborative design style, Mainline Group Architecture affords each step of the project to be owner approved to ensure success. Note: Please call our office directly at (314) 644-3150 should you wish to learn more about our firm, or if you are interested in working with us. We would love to hear from you! Now, a little history about our firm: The firms' history dates back to 1962, at which time Gregory Gunn founded the firm "Gregory Gunn, Architects" in the historic Wainwright building in downtown St. Louis. Mr. Gunn acquired an undergraduate degree in Pre-medicine from the University of Missouri, Columbia and subsequently enrolled in the School of Architecture at the University of Kansas where he graduated in 1954. Included in his studies at the University of Kansas were studies abroad at the Ecoles D'Art Armericaines, Fountainbleu, France. Brian Smith became a partner in the firm in 1993, at which time the company name changed to Gunn and Smith Architects, Inc. Mr. Smith acquired a BA in physics from William Jewell College, Liberty Missouri in 1983. Included in his studies at WJC were two terms at Oxford University, Oxford, England concentrating on Architectural History and Physics. Subsequent to studies abroad, Mr. Smith acquired a BS in Petroleum Engineering from Missouri University of Science and Technology in 1985. Gunn and Smith Architects specialize in residential remodeling as well as new construction. Our commercial projects range from museums to jewelry stores. We pride ourselves as a firm that offers intensive service from design inception through construction administration, inbuing our projects with great attention to detail and very well crafted construction. Our designs are client specific and diverse. M.O.D. offers a design team who works closely with you to define your space, create the look and feel that you desire, all the while maximizing your budget. While specializing in home remodeling and new builds, we also offer consultation furniture, custom cabinetry, and product design.